The United Way of the Lower Eastern Shore is once again hosting the Lower Shore Addiction Awareness Visual Arts Competition. The competition is open to students in grades 6 through 12 in Wicomico, Worcester, Somerset, and Dorchester Counties. Each student may enter one work in any medium, including painting, drawing, photography, sculpture, graphic design and film/video. Works must have opioid or other drug or alcohol addiction as the subject matter. Monetary prizes will be awarded to winners in each of the four counties at the middle and high school levels. Entries are due by 5 pm on April 25 and should be delivered to the United Way at 803 N. Salisbury Blvd., Suite 2100, Salisbury. Each entry must be accompanied by a completed entry & release form which can be found, along with the full list of rules, at www.unitedway4us.org/art. The competition is made possible in partnership with the Wicomico County State’s Attorney, the Wicomico County Sheriff’s Department and the Wicomico, Worcester, Somerset and Dorchester Health Departments. For more information call 410-742-5143 or email claire@unitedway4us.org. Now in its 74th year, United Way of the Lower Eastern Shore provides funding and direct services for over 80 critical programs serving Wicomico, Worcester, Somerset and Dorchester Counties. United Way helps Eastern Shore residents obtain Educational Success by reducing the achievement gap between low and middle income students, Financial Stability by advancing the economic security of families and individuals in our community, and Good Health by improving access to and awareness of local health and wellness services. 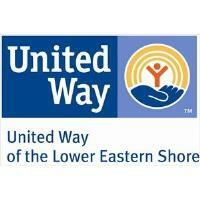 United Way provides over $1.6 million to community programs, impacting 1 of every 3 individuals on the Lower Shore. For more information on United Way or to get involved, visit www.unitedway4us.org or on Facebook @uwles.